Looking to revamp your vehicle's interior? Bring it to Cy Fair Upholstery & Glass for new custom upholstery in Houston. Does your seat have a tear? We also offer top-notch repair services. Cy Fair Upholstery & Glass is a local family-owned business. We've been reupholstering Houston vehicles for over 21 years. Restoring a classic car for an auto show? We specialize in show car upholstery and have an extensive reference library to make sure we can match the original interior. Have a tear in your convertible top? Our technicians can fix any problems from a small tear to convertible frame and motor repair. We use premium-quality materials and the latest tools to ensure dependable upholstery service. Our reliable technicians have over 198 years of combined experience. 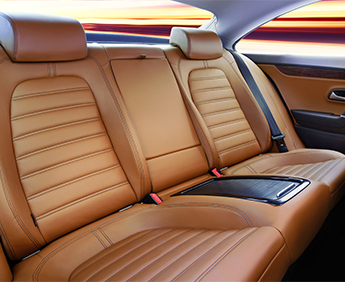 We only hire the cream of the crop, which is why you can count on us to upholster your car, truck, boat or RV interior with meticulous detail. Need new upholstery in your vehicle? Call Cy Fair Upholstery & Glass today to learn more about our services. We proudly serve loyal customers throughout the greater Houston area, including the surrounding areas of Cypress, Jersey Village, Tomball, Spring, the Woodlands, Mission Bend, Cinco Ranch and Katy.